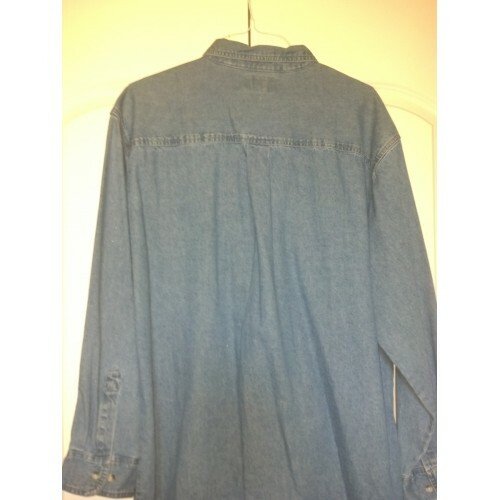 One of my favorites, I still have several in my closet. 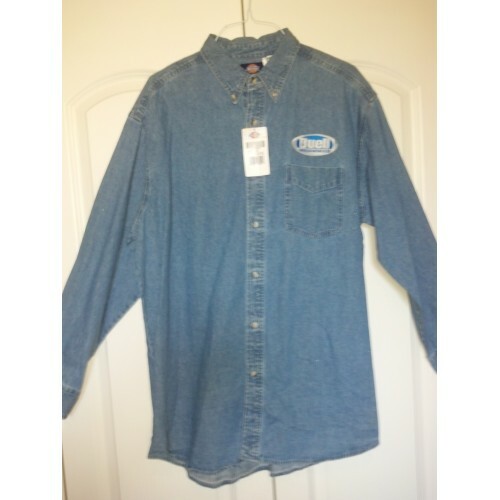 Heavy long sleeved button down men's denim shirt made by Dickies. 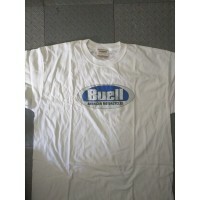 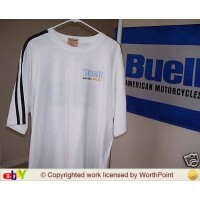 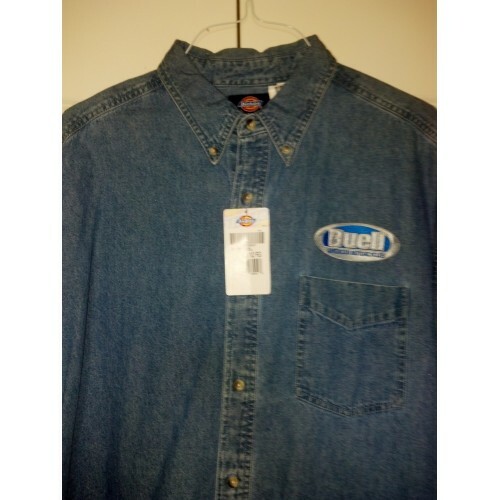 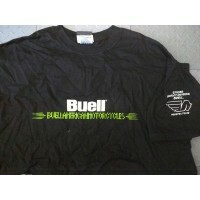 One breast pocket, nothing on the back or sleeves, just a good ol Buell logo on the front.